Make this a birthday to talk about and celebrate it at the Gwesty Glan Aber Hotel in Betws y Coed. It could be an excuse to bring together old friends and family orjust the two of you. Whatever your requirements let us help you to make it something special. We can offer reduced rates for groups wishing to book accommodation and we can organise the entertainment (or you can bring your own) plus any additional activities you may fancy. 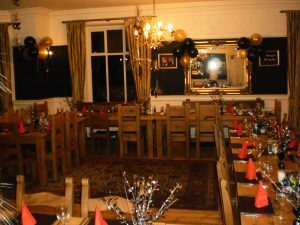 You can call us with your requirements or make a discreet enquiry online if you would like to keep it a special secret…… Gwesty Glan Aber Hotel, the best place for birthday parties in Betws y Coed. 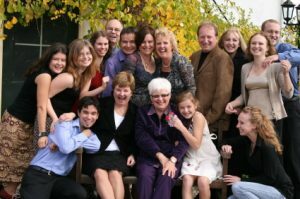 We cannot promise every family reunion will be a success – that depends upon the family looking to be reunited! 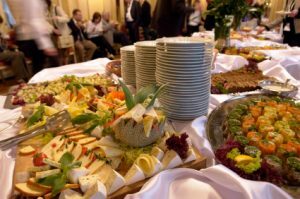 what we can guarantee is an excellent venue and a selection of fixed menus and buffets to suit most pockets – your reunion need not be restricted to the indoors – activities abound if required. Loads of enjoyable walks to wander along whilst you talk and reminisce, we can even arrange a picnic if you like. Call us and discuss your needs and we will do our best to come up with a package to suit – including accommodation if required.